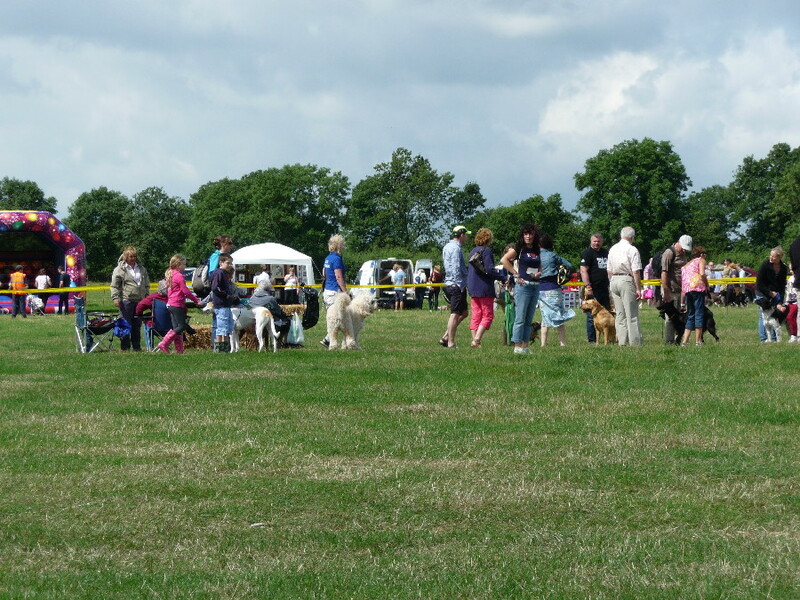 the first anniversary of its flagship kennel in Loughborough. making it self sufficient as far as power & heating goes. 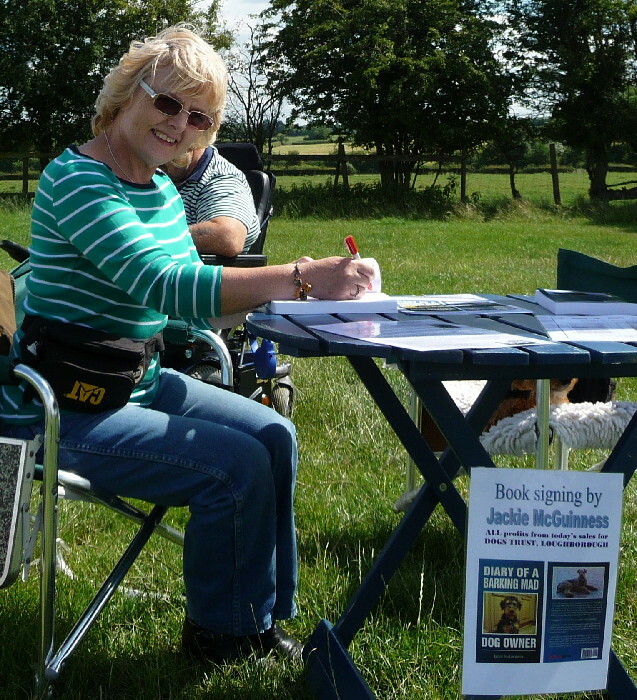 I was invited to join the party with a book signing. lined up and ready for Sunday. with some dosh in return for a copy of the book. so I volunteered my brother. I went to Loughborough today and survived. cos I don't have a sat nav. and packing the car to make sure nothing was left behind. Tom was as good as his word - up & out for 8.15 a.m. departure. from the recce we did last week and recognising most of the places. Then we got to a roundabout . . .
sat nav said about turn. then picked up the route again. just as well it was early Sunday morning. We eventually got there and I set up the table . . .
but she did buy a book from me. so I found it very tiring and very hard work. and see the book that was written about her. had passed and no one had approached me. which seemed to scare them and they gave me a wide berth. I tried saying nothing and they all walked by ignoring me. that seemed to make some people stop and look. 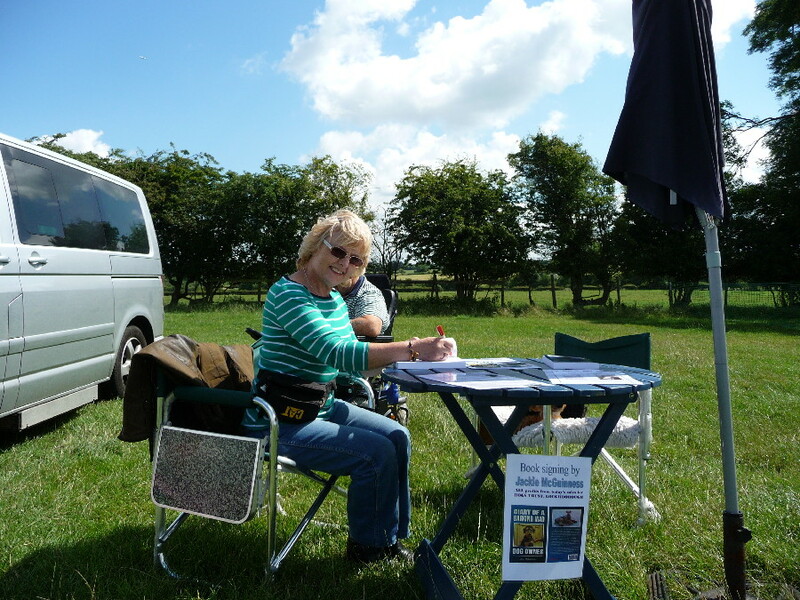 I was so worried that I would sit there for six hours and not sell one book. others came, including the ones Tom was sending over. I had one person ask me if it was suitable for a four-year-old. "Well." I replied, "I suppose it would depend on the child. If she can read about Bambi, then it would probably be ok."
and when I said, "No," she bought a book. so I was able to talk them into downloading it. in the book as a gift for a friend. By the end of the day I'd sold 18 books. nothing to compare it to, but I think it was good. it probably cost me more than that in fuel & picnic. But as I said to Tom: It was all about advertising. It was busy; there must have been about 500 cars in the car parking field. but none came near our end of the field. 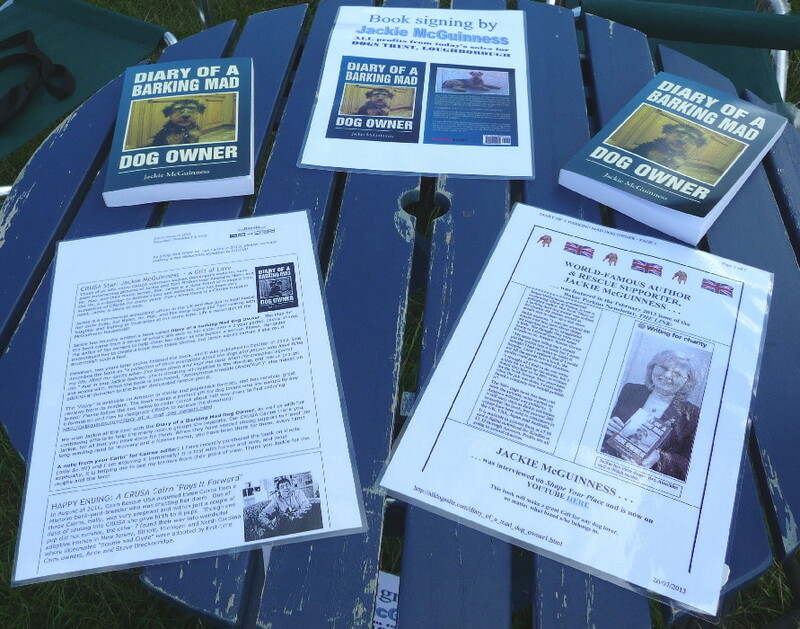 I gave the Dogs Trust £2.00 for every book I sold. Here are a couple of pics of the view I had of the show . . . I felt I could not leave my seat in case I missed a sale . . .
. . . so this was all I saw of the show. 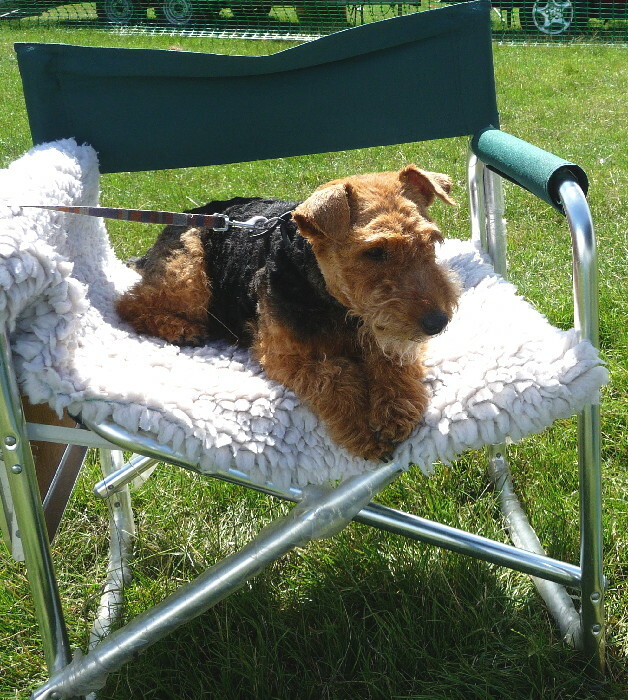 I have a whole new respect for stall holders at country fairs now. 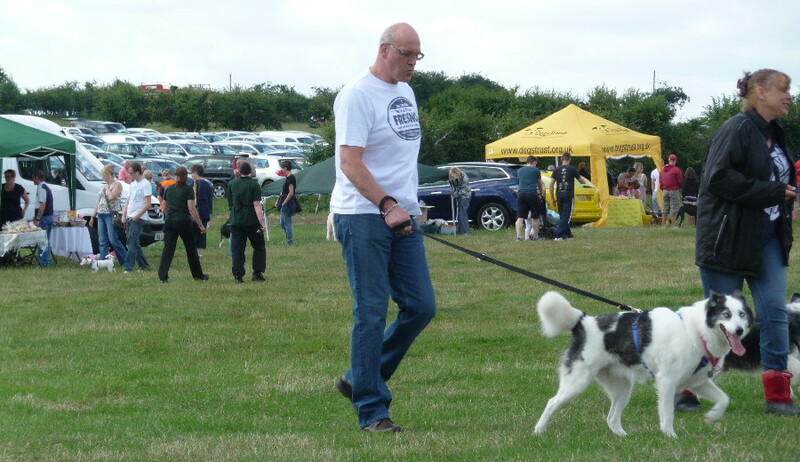 Dogs Trust Loughborough Summer Show last Sunday. TO find some of our marquees in the trees, the rest of the day was amazing. 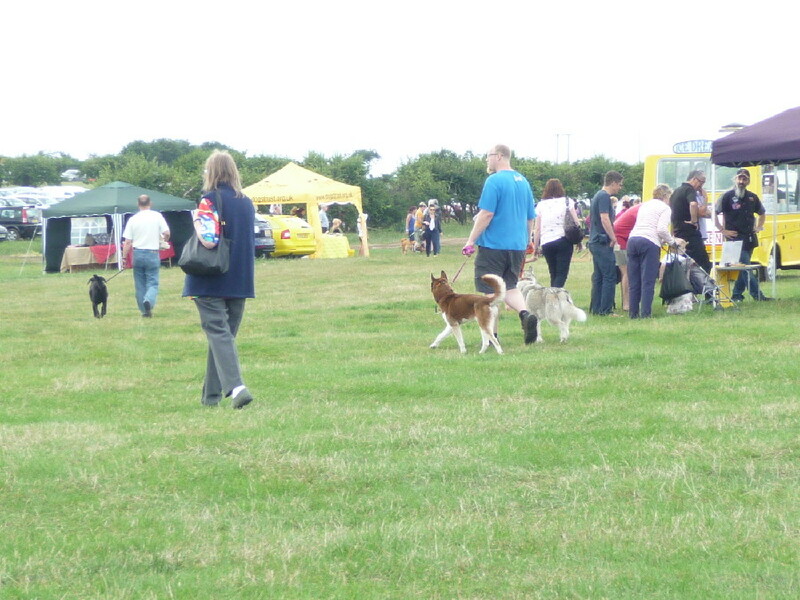 and we raised over £11,500 for Dogs Trust, which is great! The day was a great success, but also a learning curve. We expected to be busy - but not as busy as we were - which is a good thing. and hope you had a great day as well. 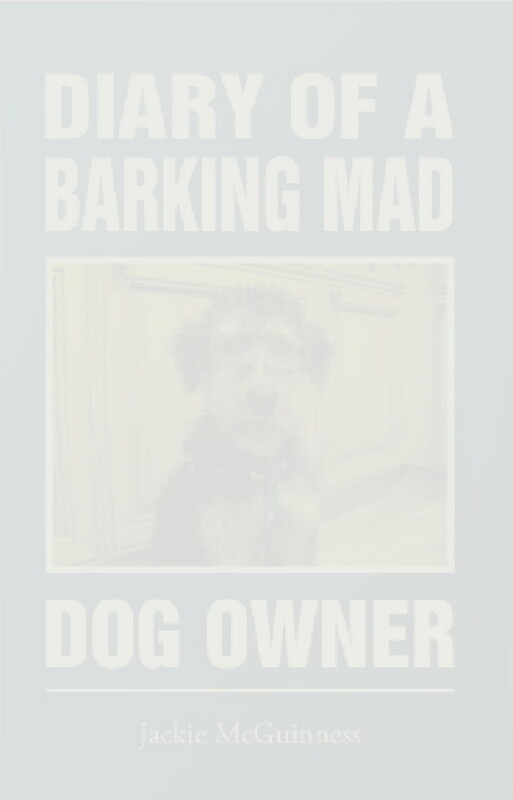 bigger & better (fingers & paws crossed). Tom McGuinness crossed The Rainbow Bridge on 4 September 2013.